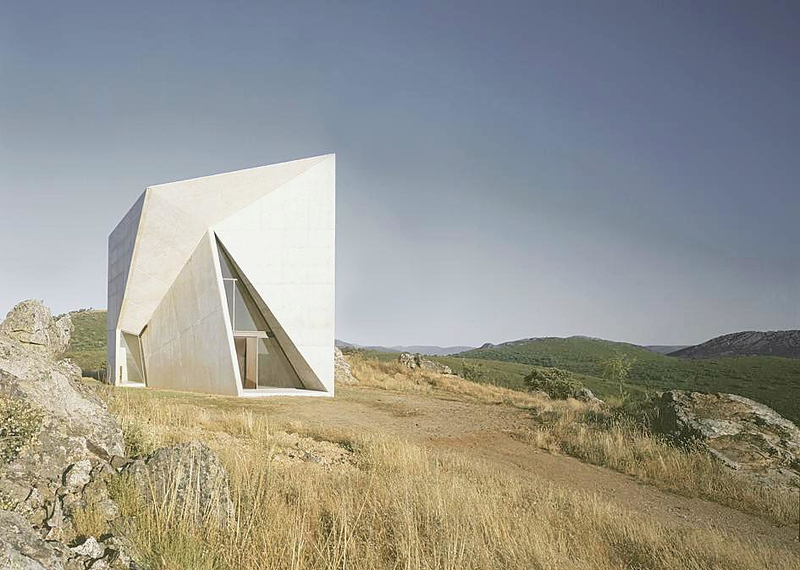 Chapel of Valleacerón by S.M.A.O. 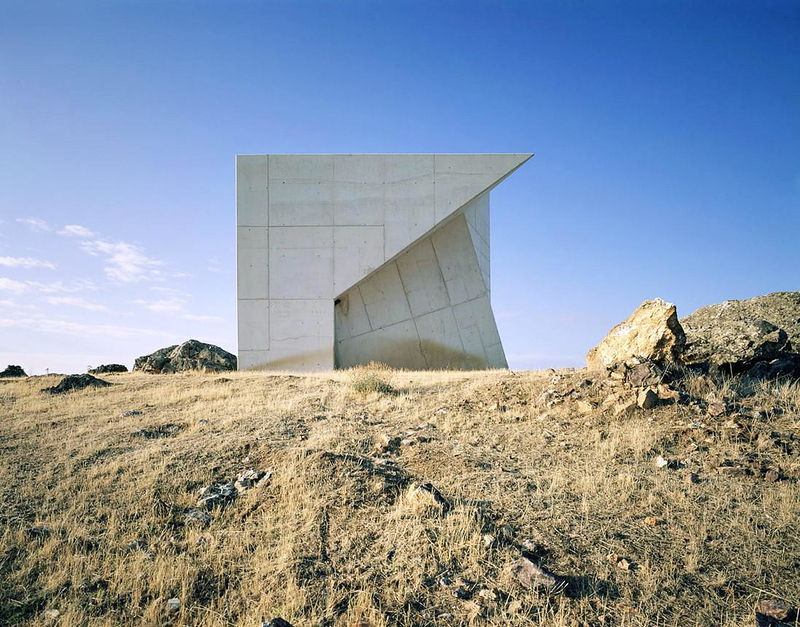 HomeBlogArchitectureChapel of Valleacerón by S.M.A.O. 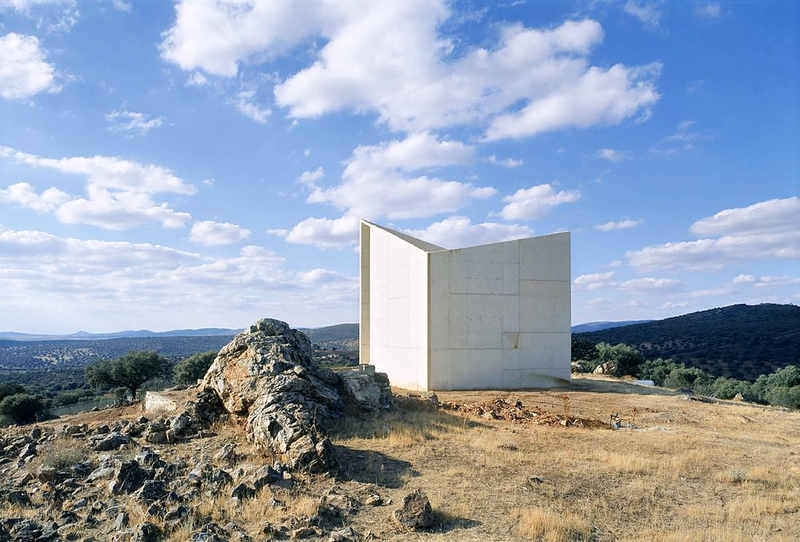 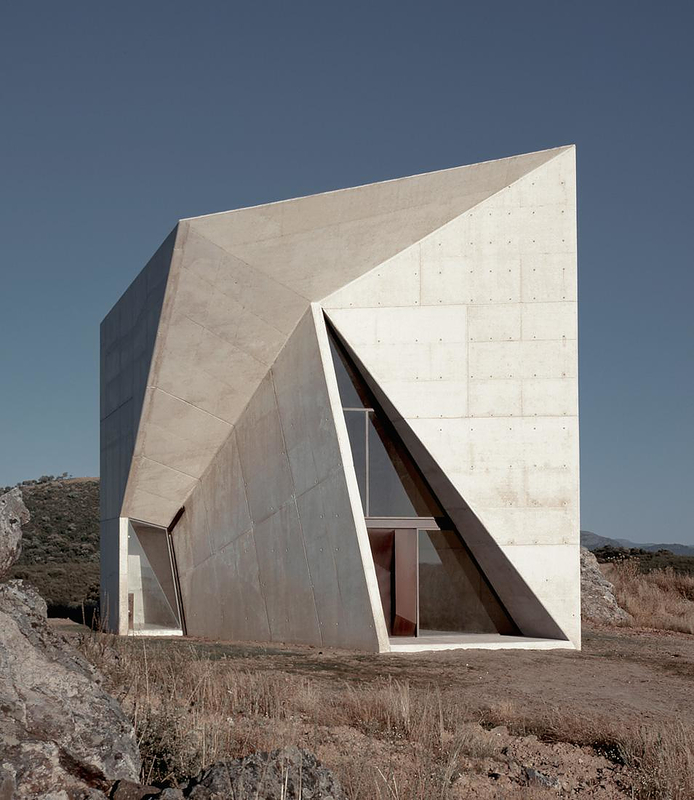 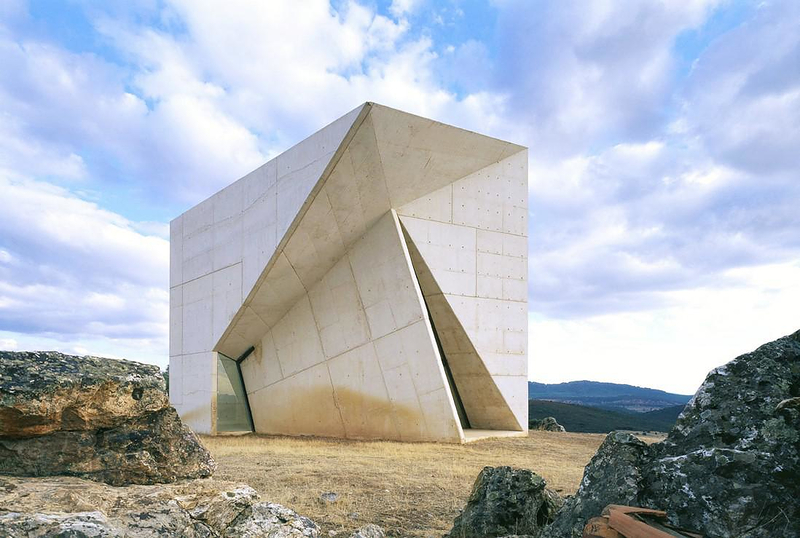 Designed by Madrid-based architecture office S-M.A.O., the Chapel of Valleacerón is a folding concrete structure with naked design. 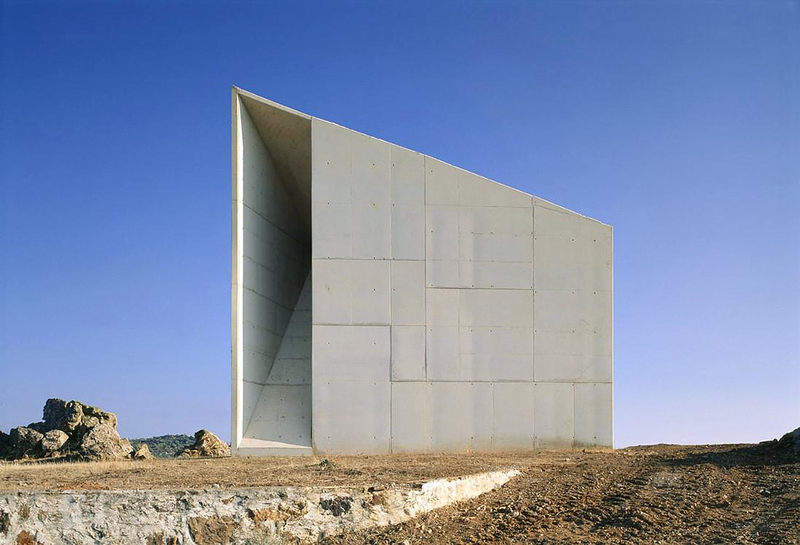 It has no artificial lighting and thus relies only on natural lighting to illuminate the space, emphasizing the symbolism of the project. 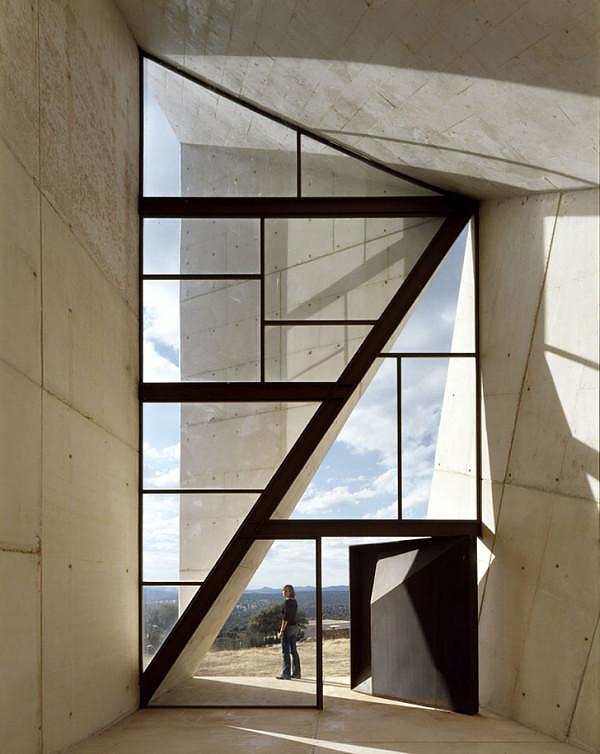 The exterior-interior spatial relationship determines its focus, its meaning. 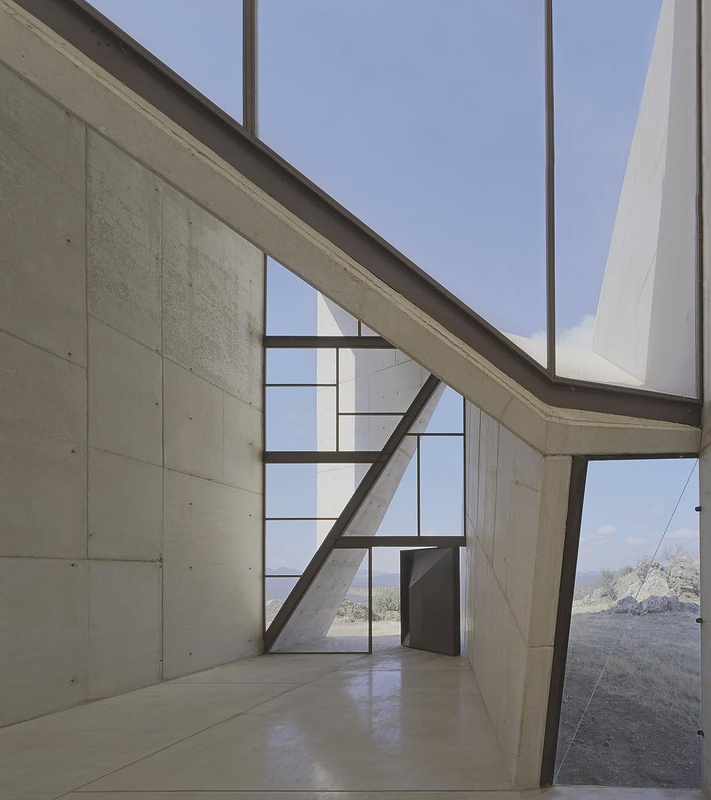 The interior is therefore decisively minimal. 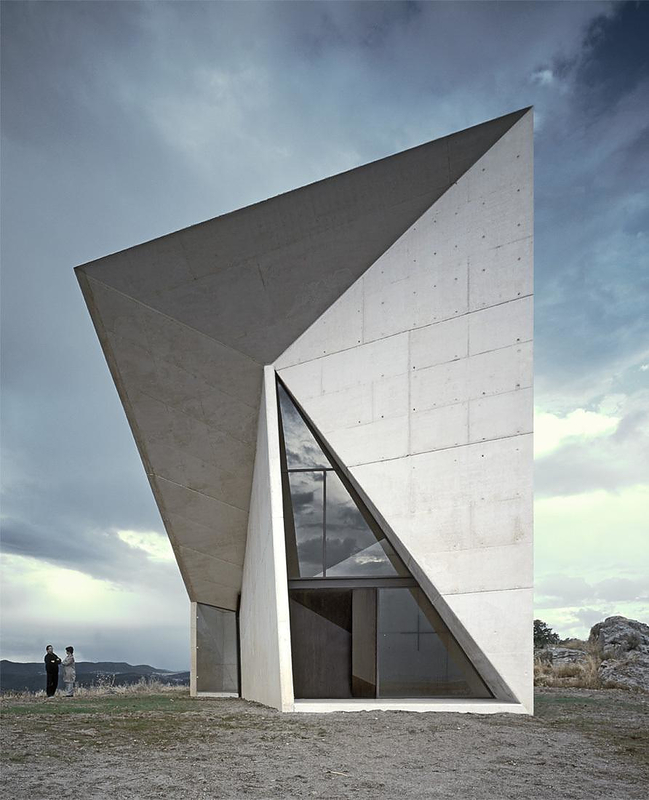 Only a cross and an image at the focal point underscore the symbolic aspects of the project. 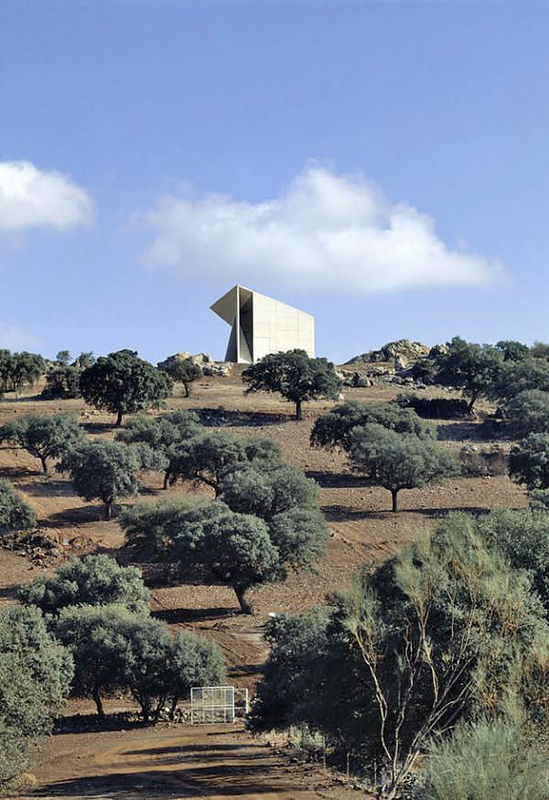 The chapel is set at the top of a small hill, making it as part of the landscape seen from the property entrance 2 Km away at a low point. 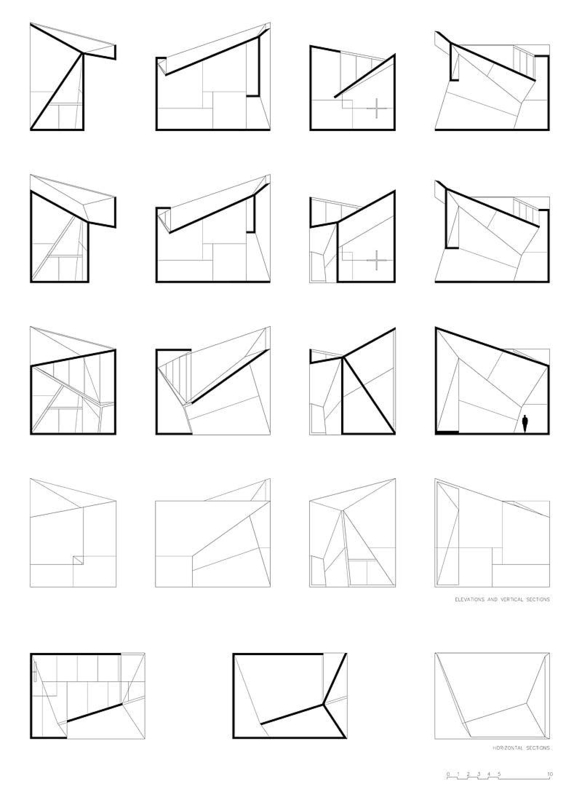 Folding the Edge: Edgeland House by Bercy Chen Studio. 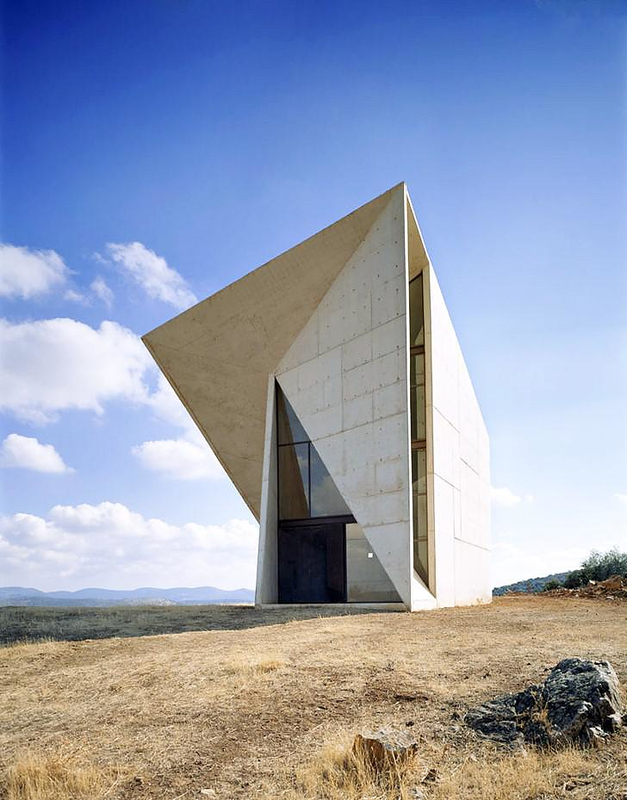 Modern Church Architecture by Javier Sordo Madaleno Bringas. 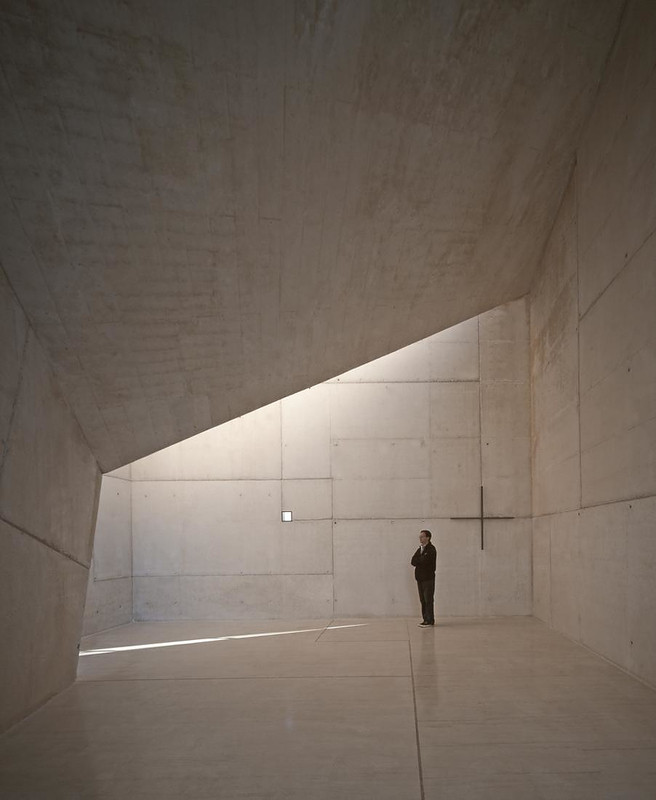 Shanghai Expo 2010 gives birth to Architectural Landmarks.